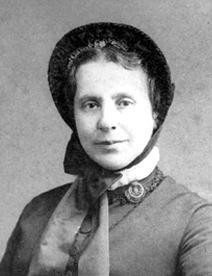 “I have pledged myself until I find the holiness of the heart” -Catherine Booth. 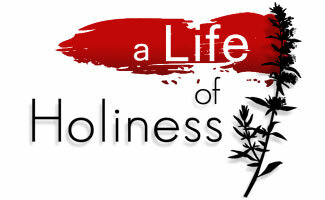 Let us delve once more into the most important aspect of our personal salvation – personal holiness. We are all equipped for spiritual growth. For some, it might take a lifetime, while others days or years. We are made for so much more than we are right now. The Holy Spirit isn’t done with us yet. We are a work in progress, an unfinished masterpiece – as we are being transformed into the image of the Might High. To me, a holiness of the heart begins with self denial. We must have the fortitude and willingness to want to change from the inside out. This transformation is dependent upon how reluctant or willing we are to the pleading of the Holy Spirit. If we are “all in”, and we allow these personal sacrifices to become reality in our every day life, the holiness of the heart becomes all that more attainable. If we say we are “all in”, and yet we resist the proddings of the Holy Spirit as He speaks to our need for surrender in very specific and private spaces, we (sometimes unknowingly) hamper this holiness of the heart. Either we are fully committed to His work in us, or we resist and stunt the potential growth we could have. I cannot tell you how often I have resisted His pleadings, for they far outweigh my moments of obedience. I hope I am not alone in this. I only say this to you so that we might understand how uncommon and unnatural this holiness of the heart can be. I am not saying it is wrong, or something we shouldn’t strive for in our personal relationship to Christ. I am just saying that the longer we resist, the more unnatural it may feel because the old unsurrendered self still takes up residence where the transformed new life should be. I confess that I am still a work in progress. I pray daily that the Lord would do His working within me, and yet this living sacrifice still slides and moves off of the altar. I do long to more like Him in every way. I do cling to the Holy Spirit. I want so desperately to be “all in” every day, every moment, and every second…I am not there yet…but I want to be. How is your Holiness of the heart going? Are you struggling as well? You aren’t alone dear Soldier, fight the good fight, do not quit, keep waging this war against sin! Listen intently to the Holy Spirit. We too possess this holiness of the heart, yet He is not finished with us yet! May we delve deeply within our hearts as we listen intently to the Holy Spirit. May we be Soldiers of this Army hell bent on pulling people back from the flames through His power. May we be the kinds of Soldiers of God that reflect Christ’s love in every way so that others may see Him too.